from the editor: Here we go (and glow) again! Entering yet another exciting fashion runway season again at NYFW, and yet another round of fall 2017 in New York. As always, my fashion week prep includes eating healthy, taking my supplements + doing my yogi stuff, and above all, making sure the skin + hair are in check. After viewing 25 menswear designers during last week’s NYFW:M shows, my beauty regime and time management became a mini project to get and keep the glow. Editor’s life: Just like the red carpet celebs, we editors also have a pre-fashion week face + body routine. I not only have to look better than usual in my fabulous outfits, I need to maintain my skin health while absorbing the extra round of stress like navigation to shows, lack of gluten free nutrition, and less sleep. Since I learned from last year’s 2016 february shows, I planned out my regime to do early pampering, and use gentle products to keep my skin health in check without irritation. Here’s my routine to stay glowing for the february womens NYFW season – and for Valentines day too (tho my date is currently TBA). 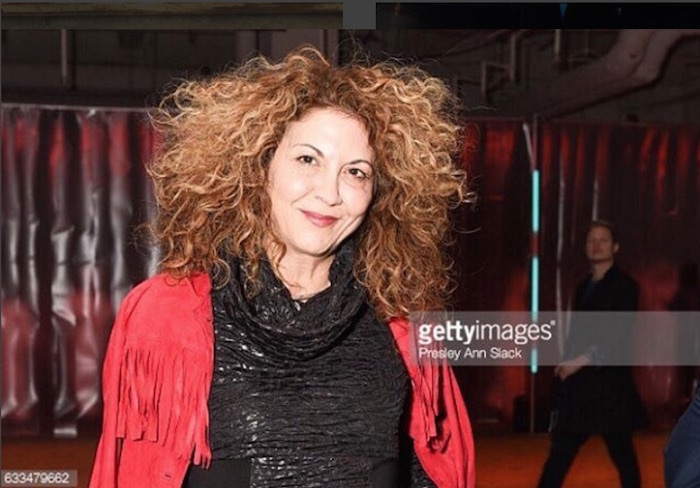 The first step: Prep, anticipate and plan… I went straight to my fave dermo, Dr. Goldenberg to get a light laser treatment about a week before the shows. It’s important to a trusted dermatologist, not your friend’s esthetician to test this out. I’ve tried a couple of varieties of lasers with Dr.G, and depending on my skin condition at the time and the event | gala coming up in mind, we find a solution for each condition. For my sensitive skin, I use a very mild dose of laser to get a little extra glow without any irritation, and I normally follow the #AskDrG suggestions as I have had success with it before. To get an idea of what to get, take a look here for different types, and check out what Dr. G says here. The second step: Skincare maintenance during the heavy stress times: Taking into consideration the snow, rain, wind and then hot in the 40’s days like last week, I looked for products that can keep my skin in balance to maintain the flawless glow of the laser. 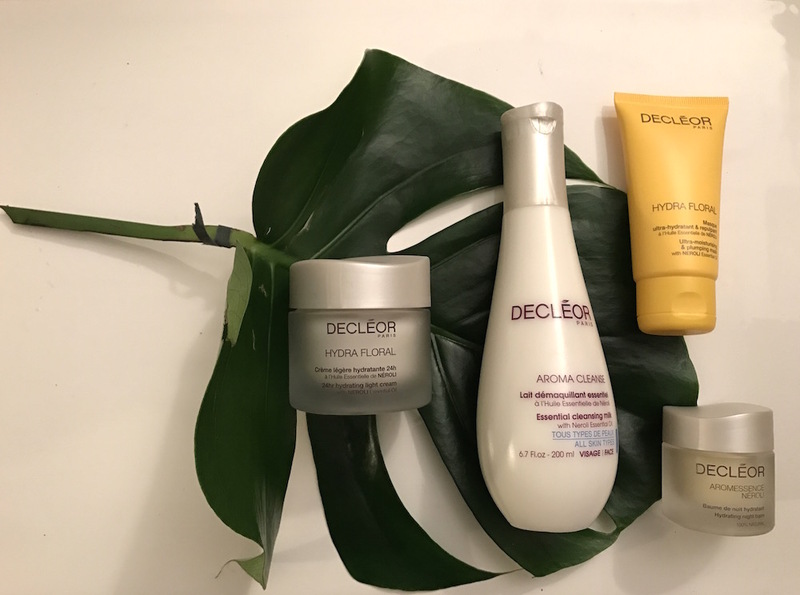 I chose to use the French brand Decleor, who uses natural ingredients and I picked some milder face products to use during this time. Three mild products with a fresh girly scent to make you feel special. I didn’t get a breakout, no red skin, and never felt like my skin was dry… and I walked in the snow for at least 15 minutes one day last week. A mild cleanser instead my face wash – alternating with my usual face wash 1x a day or every other day. Decleor Essential Cleansing Milk cleanses skin with a fresh and comforting fragrance while keeping skin moist. Ingredients include citrus aurantium amara (bitter orange) oil, and camellia sinensis leaf extract. Paraben-free, Non-comedogenic. Free of Mineral Oil and Colorant. All day gentle moisturizer: 24 Hr Hydrating light cream refreshes the skin and quenches skin instantly, and stays with you all day. That means I don’t have to carry a moisturizer in my beauty bag for the day- yay. No parabens or mineral oils, with ingredients like wild pansy extract and neroli essential oil. night moisture: the Hydrating night balm is one of my favorite skin products. A balm that melts in your hands and goes on like an oil melting into skin. 100% natural, preservative-free and contains hazel seed oil, avocado oil, and neroli oil to conditions my skin- perfect after a day of shows and fashion week parties. GLOWING SKIN for NYFW written by brigitte segura. /#brigitteseguracurator / my take on the skin glow. more info + get checked out: GoldenbergDermatology || #askDrG via twitter @GoldenbergDerm. || IG: GoldenbergDerm || more beauty: // more skin care. more gifts + guides. //more Beauty stories. more EDITOR FAVEs.